"HARAKENZO more" have opened a support station especially for the USA to readily assist you in the filing and protection of intellectual property rights in the USA and Japan, and to respond promptly and appropriately to your various requests. Our USA Support Station aims to offer quick and valuable advice for your requests, inquiries, as well as consultation regarding intellectual property rights in the USA or Japan, while providing a wide variety of high-quality services. "HARAKENZO more" have specialized members in our USA Support Station at the moment. In close cooperation with other relating sections, it is our sincere honor to assist clients in the USA with intellectual property matters in Japan, and conversely assist clients in Japan with intellectual property matters in the USA. If you have any requests, questions, or would like consultation regarding intellectual property rights in the USA or Japan, our USA Support Station is at your service. Please do not hesitate to contact our USA Support Station, which looks forward to assisting you. With my previous experience working abroad, domestic or international, the harsh competition in business, has made me keenly aware how business competition increases the value of intellectual property rights. Keeping that in mind, as a patent attorney I aim at acquiring property rights in accordance with client’s needs, and will make an effort no matter how minor the matter may be. 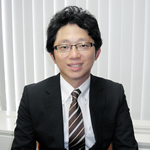 Takamasa ARAI obtained an ME in Engineering from Kobe University and is an officially qualified head electric technician (3rd kind). 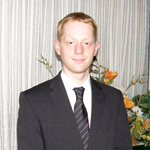 His speciality covers Electricity, Electronics, Physics,Material Science, and Mechanical Engineering. 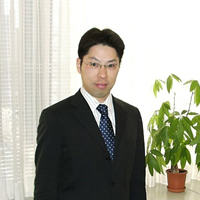 He speaks Japanese and English and is responsible for a wide range of services we offer to international clients. As you may already know, foreign patent laws as well as other regulations are frequently revised in these days, and numerous court decisions made in recent years may have dramatic impact to foreign patent practices. Given these circumstances, I believe it is my duty to always keep up myself with these legal precedents and restless law revisions, in order to provide our clients with appropriate and useful legal advice. 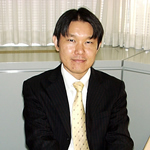 Mr. Fukui specialized in Precision Science and Technology and studied Non-conventional Machining in university and graduate school. 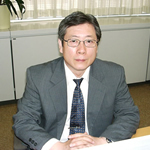 After completing graduate school, he worked for a private company and was involved in R&D relating to semiconductor manufacturing equipment. Through these experiences, he acquired a broad knowledge of technologies relating to Physics, for example in the fields of Electrical/Electronic Engineering, Mechanical/Control Engineering, Optics/Electromagnetics, and Information/Communication Technology. After qualifying as a Patent & Trademark Attorney and becoming a Specially Qualified Attorney For Infringement Litigation, he widened his field of practice to include expert testimony, litigation, consulting services and so on. "An IP firm's capabilities are influenced a great deal by the professional skill levels of the individual members. However, simply assembling skilled personnel does not give an IP firm outstanding capability. "HARAKENZO more" has a diverse staff and each individual has highly specialized abilities. This diversity goes beyond the explanation in the "OUTLINE" section above. Moreover, our firm's organizational strength enables the individual staff members to make use of their abilities in a way that best suits the demands of our clients. "HARAKENZO more" invite our clients to put the skills of our personnel and our firm's organizational strength to practical use in the increasingly sophisticated and complex fields of IP operations and IP strategy." 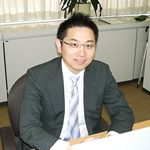 Mr. Kuroda specialized in Biotechnology and Molecular and Cellular Biology at university and graduate school, where he carried out research into improving the function of proteins and the protein localization. After graduate school, he worked for a cosmetics company at R&D division carrying out fundamental research and developing new products. Following this, he joined HARAKENZO WORLD PATENT & TRADEMARK, and became involved in patent prosecution for domestic and international cases in the fields of biotechnology and chemistry. After qualifying as a patent attorney and a specially qualified attorney for infringement litigation, he also gained experience in license agreements, expert opinions, consulting, litigation and so on. Currently, he not only carries out patent-related work, but handles cases from all areas of intellectual property, including design and trademark cases. "In recent years, as the globalization of business has continued, competition has become much fiercer. In this fiercely competitive environment, outstanding technology is of course important, but it is not enough on its own. With only technical superiority, it is increasingly difficult to maintain a distinctive value. "Therefore, to differentiate oneself from others and to increase one's competitiveness, in addition to technology, it is vital to incorporate design and brand into a multi-layered IP strategy. In order to increase the value of our clients' businesses, I aim to help provide a service that fully satisfies the demands of our clients in all fields of intellectual property." Richard Stonell is a citizen of the United Kingdom. In 2008, he obtained a B.A. in Japanese Studies from University of Leeds in England. 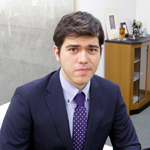 From 2008 to 2010, he worked in the International Affairs section of the Nagasaki City Hall. 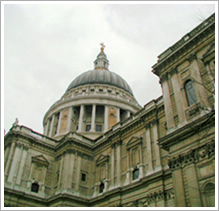 My primary purpose is to be able to contribute to our clients’ benefit. By using my experience in international interaction, I will respond to your requests swiftly and respectfully. Patent translation is a specialized field requiring clear and concise writing that is precise from both a legal and technical standpoint. Utilizing my long study of Japanese and my experience as a translator, I strive to provide translations that are faithful and optimized to our clients' needs.